FANBOY PLANET.com . : mc-moron-vs-fanboy-pilot :. For a whle now, Lon Lopez of MoronLife.com and I had mulled doing this. And when I say "we," I mean that, as usual, we talked about it one night and all I could do was say, "yeah, you should figure it out." I'm blessed with friends that can. It was high time that we try something on video, which will exist alongside the podcast with a different flavor. So check it out and please please let us know what you think! 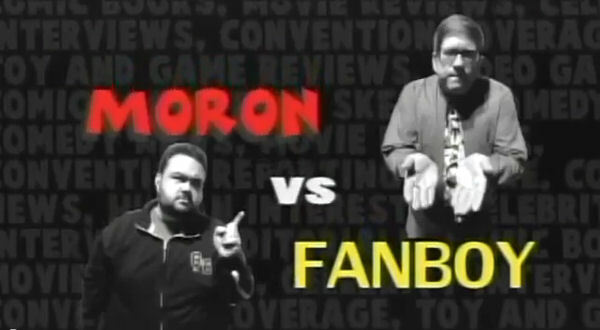 It's the Pilot for ...Moron Vs. Fanboy!